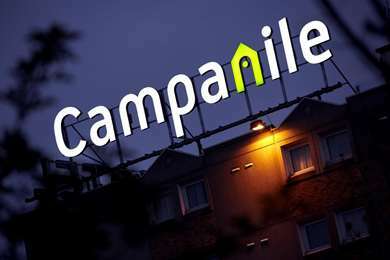 WELCOME TO HOTEL CAMPANILE MARNE LA VALLEE - Chelles. 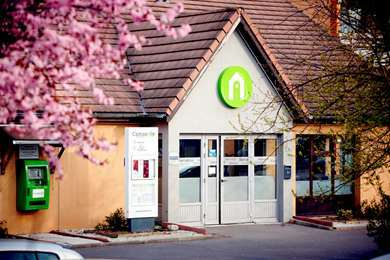 Our 3-star Campanile Chelles hotel is 10 km from the A104 (La Francilienne). 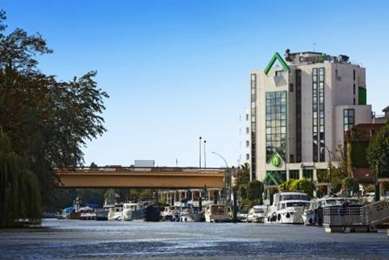 It is ideal for business trips to Seine-et-Marne and it is a short distance from the Bourget and Villepinte exhibition centres, and Roissy-Charles de Gaulle airport. Chelles-Gournay train station is a 20-minute walk from the hotel. It is on the RER line E and the Transilien P line, and you can reach Paris’s Gare du Nord and Gare de l’Est in 10 minutes. For your comfort, the hotel has private parking and free Wi-Fi broadband. With quality bedding and flat screen TVs with Freeview channels, all our rooms provide a comfortable and relaxing environment. Some can accommodate up to 4 people. Cots and baby equipment are available upon request. The hotel is wheelchair accessible. 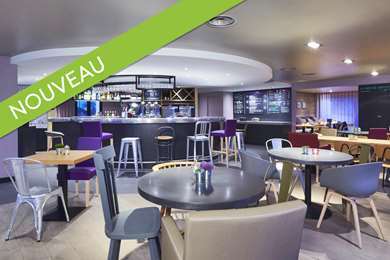 The recently renovated restaurant offers a cosy interior. It is spacious and air-conditioned and opens onto a nice terrace. We have a varied menu and daily menus offering seasonal produce. In order to best satisfy all appetites, buffets are served at breakfast, lunch and dinner. Our 3-star hotel offers 2 large meeting rooms with a capacity for 150 participants. Modular and well equipped, they are ideal for your corporate events. During your working day, our friendly staff will offer you welcome coffee and snack breaks. Our Campanile Marne La Vallee - Chelles, which is 20 minutes from Disneyland and Walt Disney Studios, wishes you a great stay in a calm and relaxing environment. and sleep one to four people. 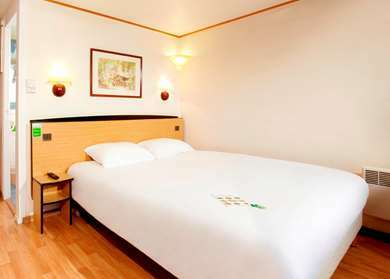 The hotel also has three rooms which are 17m² and are accessible for guests with reduced mobility. 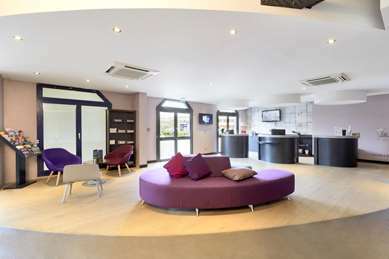 All rooms in your Chelles hotel feature free Wi-Fi, a welcome tray with kettle, tea, coffee and cakes, flat-screen TV with TNT channels, and bathroom. 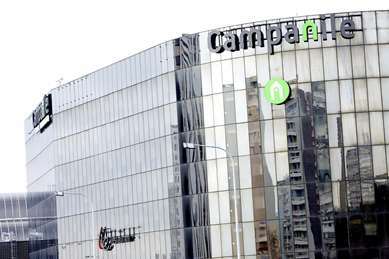 For maximum comfort, Campanile has joined forces with Simmons, the French market leader in bed supplies, equipping all rooms with a top-of-the-range mattress and bed base, cotton percale duvet cover and microfibre pillows. We also provide extra beds, baby equipment, hair-dryers, irons and universal plug adapters on request. From 6:30 to 9 am during the week, and 7 to 9:30 am at the weekend, you will be able to fill up on vitamins with our all-you-can-eat buffet: tea, coffee, fresh fruit juice, cereal, pastries, cold meats, yoghurts and, last but not least, our fruit salads. 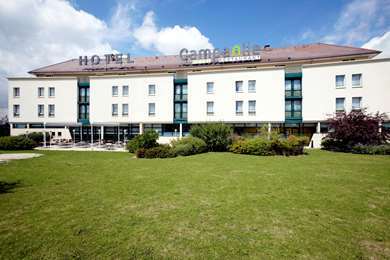 At the Chelles Campanile hotel you can try regional or traditional cuisine, be it a light lunch or a family occasion. Lunch and dinner are served from 12 to 2pm and from 7 to 10pm respectively.